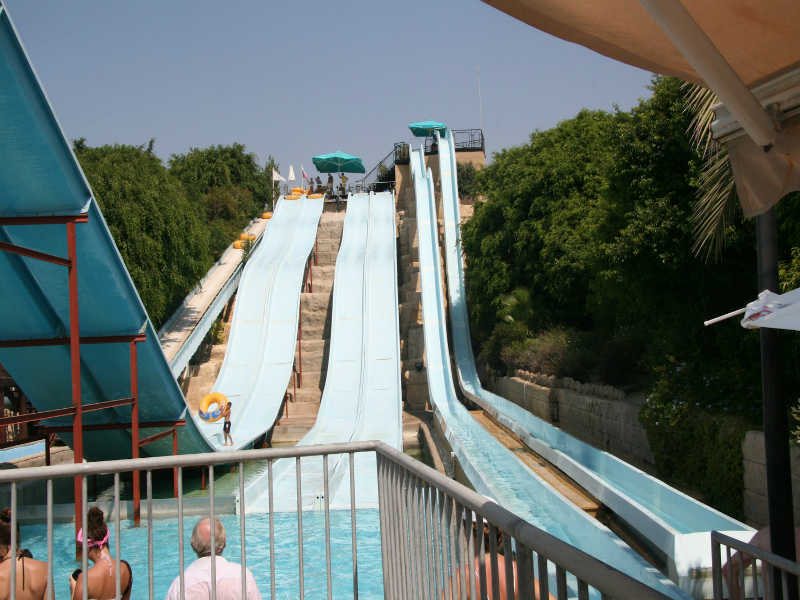 Paphos Aphrodite Waterpark is one of the best things to do during your visit in Paphos. 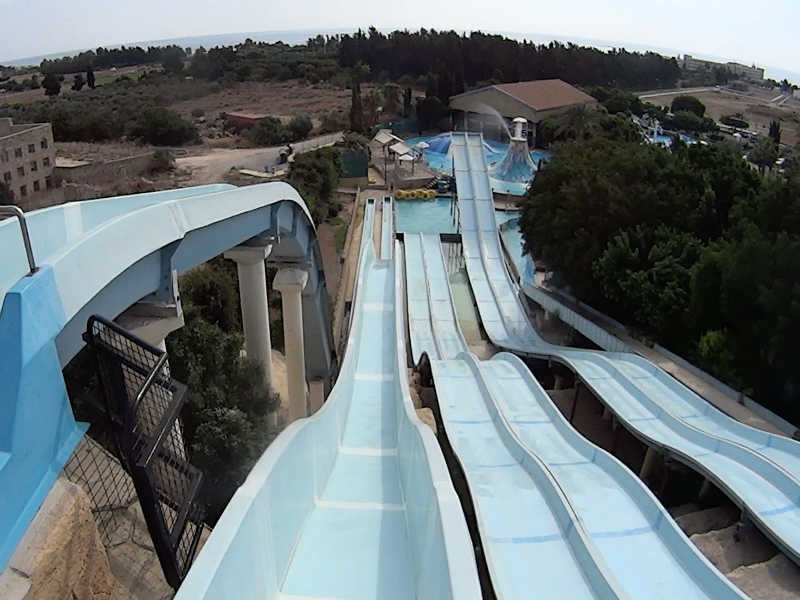 It is also the biggest waterpark in Paphos and one of the most popular place both for tourists and local people during the summer. It is a perfect place for spending time both with family and friends. Paphos Aphrodite Waterpark opens from 10th of April until 31st of October. This is the period where the weather in Cyprus is really warm which makes the experience even better. The park includes variety of rides and slides. Of course there are specific slides which are suitable only for adults. On the other hand, there are areas which are suitable only for kids. The specific areas are of course suitable and arrange accordingly for kids for certain ages and also looked after safeguards. In some occasions, there are rides which require you to have a minimum height to be able to have access to them as it can be dangerous. The safeguards are making sure that the specific rides and slides are access on from people who meet the specific requirements. The most famous slides which are included in the park are the slides which are called “Black Holes”. The specific slides have been given the specific name because as soon as you go into the slide, you cannot see anything around you. In case you are afraid of the dark, there are of course other carious slides you can access. For examples there are slides which are open where you can either access them either using a tube or without tube. If you fancy access a slide which requires a tube and you would like to go with a friend, then you can of course use the double tube which allow you to have one person behind the other sitting on the same tube. There is also a family tube but is it can only be used on specific slides. The specific tube can fit more that two people and it a good fun if you would like to go access a slide with friends or family. But if you do not fancy going to extreme rides and have a relaxed experience of the park, then there are of course other facilities you can use. One of the most relaxed ride is the “Lazy River”. As from the name you can understand that it is a river with running water which pushes you while sitting on the your tube. There are also other facilities and rides you can access which are not extreme and do not require any specific height to be accessed. So we are sure that you will be able to access most of them. Of course we can provide taxi service towards Paphos Aphrodite Waterpark. There are many people choosing our service to travel from their hotels/apartments to the waterpark. You are more than welcome to use our service and of course as always we will provide you with best possible service. You just need to contact us or fill in our online form. So what are you waiting for? Book you taxi now!